Fortnite fans can pick up hidden Battle Stars by unlocking secret loading screens during Season 6., Week 9. Fans can unlock these hidden loading screens by completing all seven challenges from any given week. Three of these Fortnite challenges are available for free, while the other four are exclusive to Battle Pass users. The challenges are also separated into hard and regular tiers of difficulty. Once you've completed all seven challenges, you'll unlock the hidden loading screen, which contains a secret Battle Star. 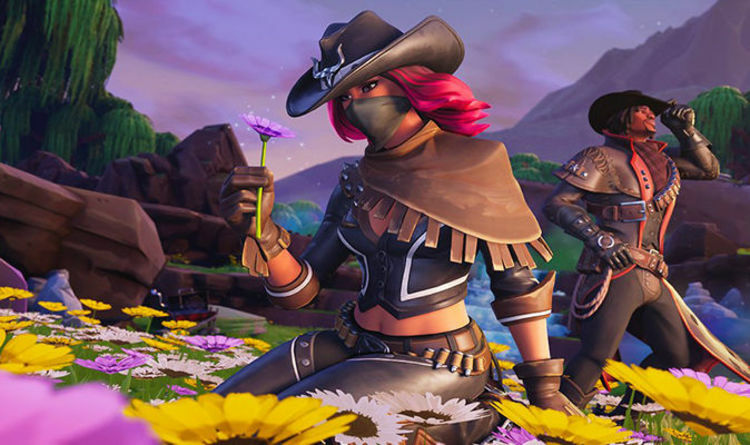 The Season 6, Week 9 loading screen once again includes a cameo by the mysterious A.I.M character. You can check out the clue and the map location in the gallery below. But while the A.I.M character can be spotted in the distance, the hidden Battle Star is a little closer to the characters in the foreground. The gallery above reveals where the secret Battle Star can be found in the image. It all leads to Leaky Lake, so if you've completed all of the challenges and unlocked the hidden loading screen, simply head to the location to claim your Battle Star. As a reminder, the Fortnite Season 6, Week 9 challenges can be found below.